HAPPY DAY AFTER MOTHER’S DAY | A very happy day-after-Mother’s Day to all the Kings and LAKI mommies, and to those whose moms aren’t around or may have challenging relationships with their parents, all the love in the world to you. This was excellent work by Tom Hoffarth, who depicted the impressive and airtight work and life balance spearheaded by FOX Sports West/Prime Ticket stage manager Donna Moskal, a close friend to all of us on FSW broadcasts and in Kings media. Moskal’s proactive organization and soothing maternal instincts are so evident in the Chick Hearn Press Room, in pre-game production meetings, in the broadcast booth, or simply scrolling through family photos while at Staples Center on a Tuesday night in March. In Monday’s decision in the case, Murphy v. National Collegiate Athletic Association, No. 16-476, the court ruled that the 1992 law amounted to unconstitutional commandeering. No surprise there. 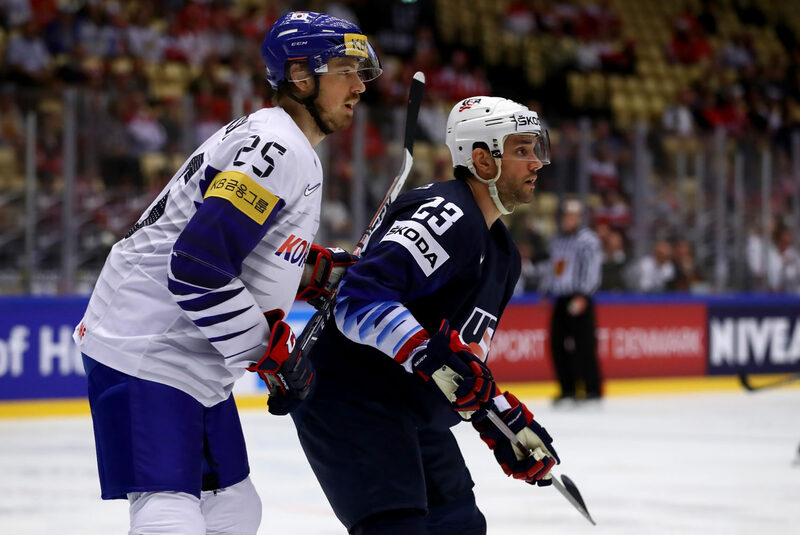 All the diligence is being done to provide the appropriate base to officially set up negotiations when Doughty is eligible to sign a new contract on July 1. -The LA Kings and the Kings Care Foundation are hosting the LA Kings Beach Cities 5K/10K on Saturday, September 8 this year. This is the annual race that benefits Hydrocephalus Association and will be held in conjunction with their LA Walk and draws strong support by the players, coaches and their families. Through June 1, adults can register for the 5K for $40 or the 10K for $50, and walk away with a race t-shirt, finishers medal and a ticket to a 2018-19 preseason home game. Discounts are available for military, students, and season ticket members. To register, visit lakings.com/race. In the spirit of fitness and healthy livin’, you may also want to join the Fit To Be King Run Club, hosted by Daryl Evans with the 5K/10K in mind each Sunday in the South Bay from June 2 – September 3. You can become a member of the club for $100 and receive entry to the 5K/10K along with a shirt, a pair of socks and weekly meetings with Evans and the LA Kings Ice Crew. More information is available at lakings.com/run. Since its inception in 1996, the Kings Care Foundation has donated more than $11 million in monetary and in-kind support to the local community. Dorms and a beach day will be provided at the Santa Barbara Pro Competition Camp. 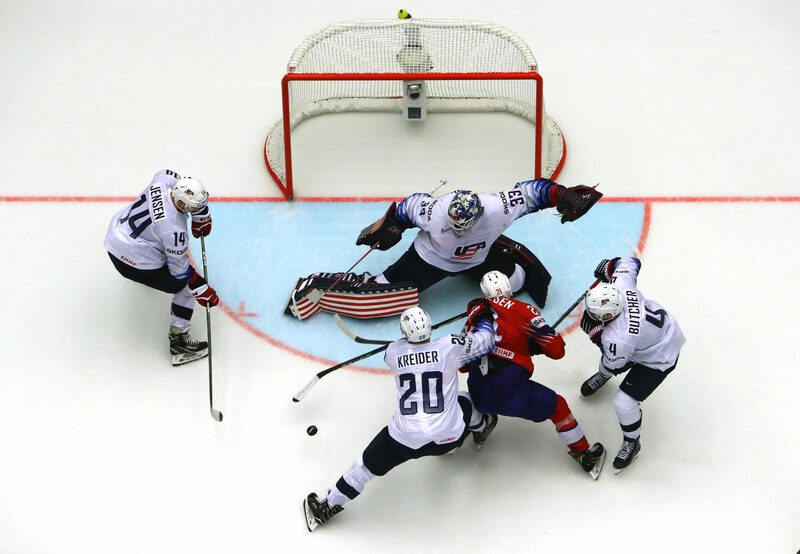 There are also intermediate workshops at Toyota Sports Center hosted by Daryl Evans on June 4, 11, 18 and 25, and a High School Hockey Clinic at TSC on July 9, 16, 23 and 30. For more information on camps, visit LAKings.com/camps. -Oh, you can paint the ice at Staples Center, too: Over at LAKings.com/auctions, there’s a package that includes the opportunity for up to four people to be part of the first group to take the ice for the Paint the Ice event on Sunday, May 20 at 3PM at Staples Center,which is typically a season ticket member event that isn’t open to the general public. Included is a parking voucher for Lot W and the opportunity for your group to take a photo with Bob Miller and his retired banner prior to Paint the Ice. 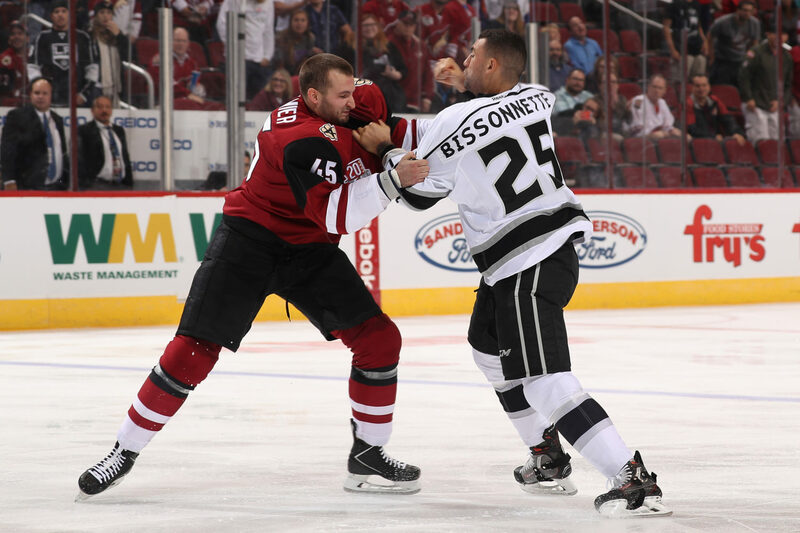 BIZ NASTY DOES BC | Coming off his first season as the Arizona Coyotes’ radio analyst, Paul Bissonnette’s media endeavors continue with the recommended BizNasty Does B.C. series, hosted by Barstool. I can’t embed it, but Part 1 is here, followed by Part 2. Remaining episodes will come out on Tuesday, Wednesday and Thursday right here. This will be the rare time LAKI links to, uh, Bad Words and Adult Situations, such as when Paul states what assets he’d bring to the Toronto Maple Leafs if signed as an off-season free-agent. 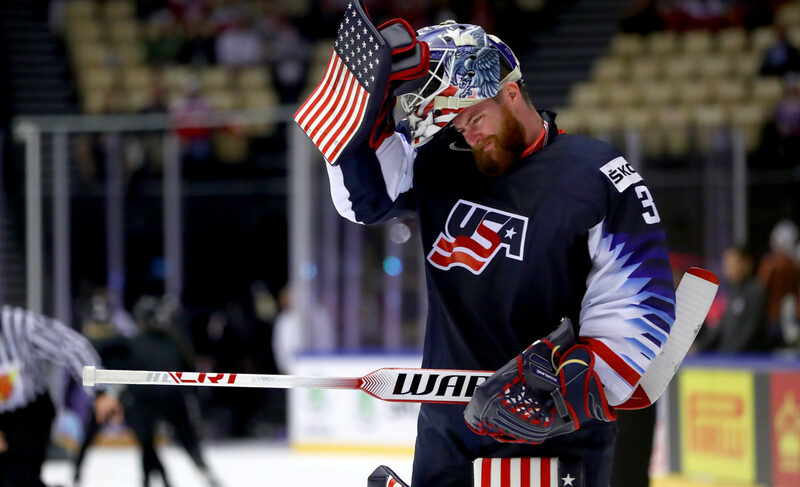 Fun and Good Stuff here from the 2015 Calder Cup champ. OHL FINAL | The Hamilton Bulldogs erased a 2-0 deficit in Game 6, scoring two goals on Kings prospect Matt Villata in the third period before adding an empty-netter on the Soo Greyhounds to claim the OHL Championship for the first time since 1999, when they were the Belleville Bulls. So, no title for the 55-7-3-3 Greyhounds, while the Bulldogs will join the Swift Current Broncos, Acadie-Bathurst Titans and host Regina Pats at the Memorial Cup, which begins Friday. 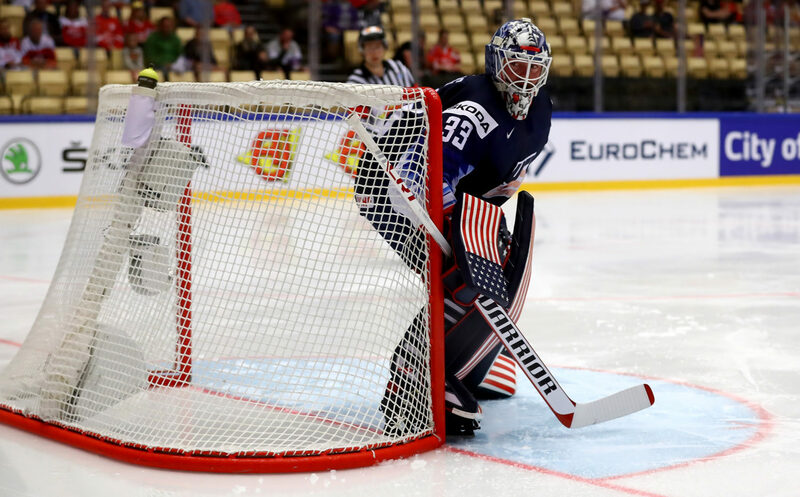 The Pats, who did not have the services of (20-years-old and eligible in 2017-18) Austin Wagner or (21 and ineligible) Adam Brooks, but do retain top Anaheim prospect and World Juniors star Sam Steel, finished with a 40-25-6-1 in the highly competitive East Division, and Villalta, a 2017 third rounder who turns 19 in less than a month, finished the tournament with a 3.30 goals-against average and an .893 save percentage. It’s always fun watching champsionship-clinching games; click here for the highlights, which open with some tough Villalta saves. Regina, hosting the tournament for the first time since 2001, lost in seven games in the first round to eventual champion Swift Current, who went on to beat top-seeded Moose Jaw in the second round. In the year of the Humboldt tragedy, enough moving pieces have aligned for Regina to host a tournament that will involve two Saskatchewan-based teams for the first time since 1989, and one of those teams, also called the Broncos, owns another tragic piece of hockey history. The Pats, and Saskatchewan, will pull this off really, really well. 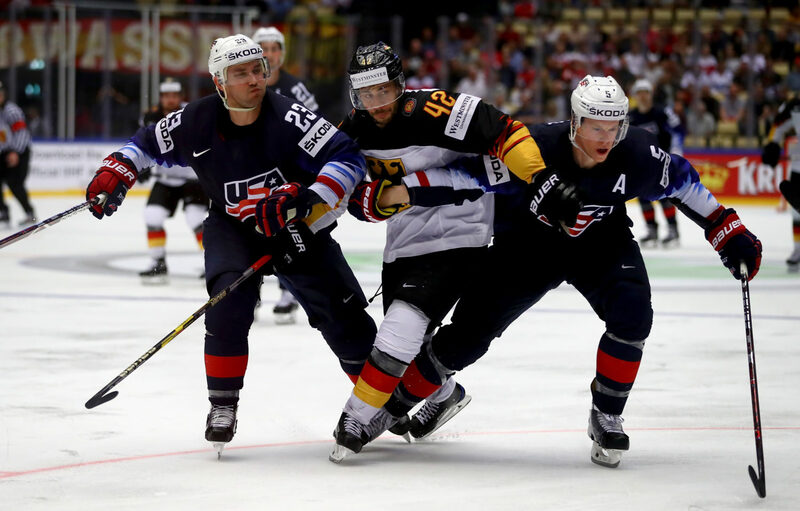 AROUND THE WORLD | The United States’ play ramps up at the end of Group B’s schedule as they face second-place Finland Tuesday in their final preliminary round game. 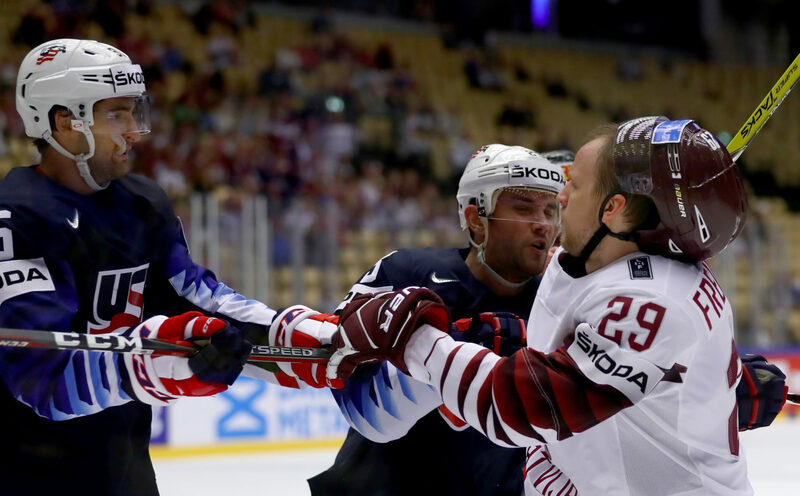 Coming off an overtime loss to Germany, Finland will be looking for a win in regulation to claim the top spot and set up more advantageous seeding. 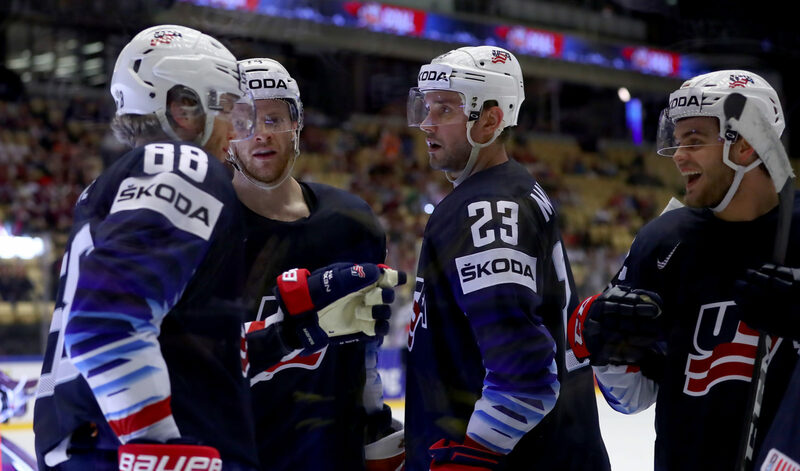 Whether they finish first or second, the Americans look like they’ll get a dose of Switzerland or Slovakia, or, less likely, Czech Republic or France, for their quarterfinal game. Alec Martinez has one goal, three points and a plus-four rating in six games, and his 19:56 ice time per game ranks second on the team to Will Butcher. 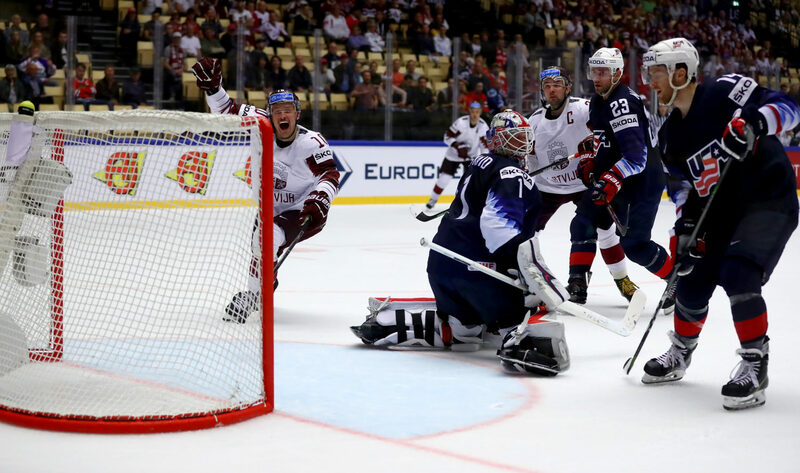 Alec Martinez scores his 1st goal at the #IIHFWorlds in a 9-3 win over Norway. In 6 games Alec has 1goal & 2 assists.